Age Old Technique Reinvented as Crazy Cool, Colorful Crochet. Playing with Patterns for Untraditional, Trendy Wearable Art. The first thought that pops into my mind when I think of crochet is a cute little grandma, happily working away at a scarf with a ball of yarn. Its cliché, I know, but that's the view that many people have of this technique. One look at the work of Austin based Erika, the maker behind Dope Crochet, and you'll hopefully be convinced otherwise. Crochet can be trendy and fun. All it takes is a unique sense of style and the desire to repurpose an undervalued craft, which Erika has done in beautifully. All of her work is brightly colored, some solid and some with clever patterns. 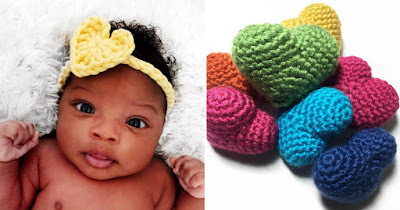 With a skill like crochet, there's no substitute for learning the basics, but Erika then takes what could be so traditional and makes it fitting for today with her designs. We're not talking about scarves or mittens or hats (though she does make these with her characteristic colorful flair). No, Erika prefers earrings, swimsuits, bowties and more. Erika's colors are what caught my eye first, but you can also see a wonderful attention to detail. In crochet, you can miss a stitch, and the smaller the scale, the trickier it can be to move your hook. Erika has her technique down though, and she is able to achieve a wide array of stitches and patterns. 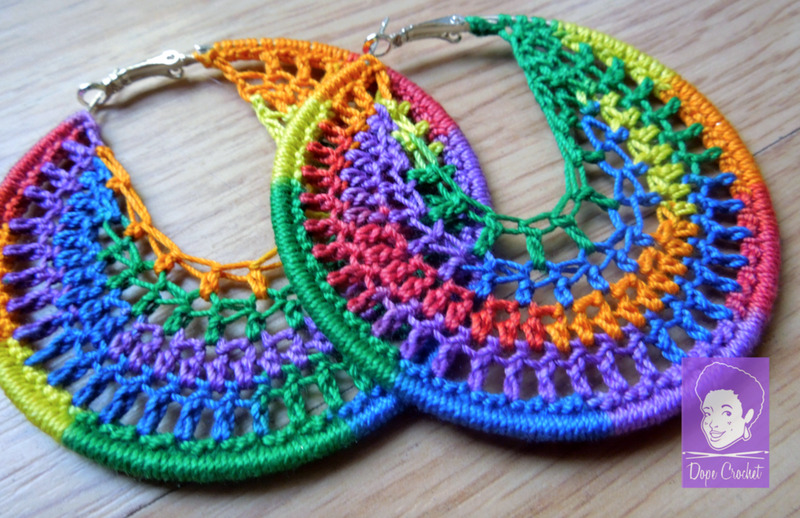 From her hoop earrings with crochet woven embellishment to clothing for kids. 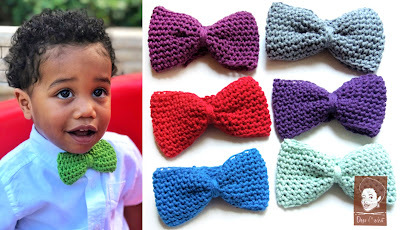 Dope Crochet offers a fun, colorful way to enjoy handmade ingenuity while accessorizing any outfit!